One of the abilities of the child much awaited by parents is when they say their first words. But, what if the child is unable to say a single word? Although in reality the timeline for growth and development is different for each child, the delay in achieving a milestone such as speech can cause parents to feel anxious. So, how to identify children with speech delay? At birth, children can only cry to convey their wants. At 2-3 months, they begin hearing the voices of the parents attentively, observing the face of the parent as they are speaking, and also responding to music. Then, as their abilities develop, they begin to say simple sounds such as ‘aaah’ and ‘uuuh’, known as cooing. They will also begin to experiment by making funny sounds. As they enter the age of 6 months, they will sharpen their speech skills by saying one syllable, such as ‘ma-ma’ or ‘pa-pa’. They are also able to show a response when their name is called. 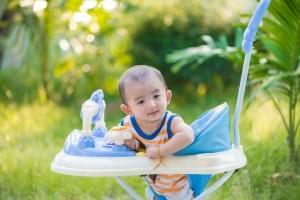 At this age, children start to understand names and objects, as well as basic concepts such as yes, no, or finished. They will begin babbling with an intonation or tone of voice imitating that of the parents. They will also be more fluent in saying simple words such as mama or papa, even though they are unaware of the meaning. Starting from 9 months, children are able to understand simple commands, such as “Look at that.” They will also begin to use signals if they want something. At their first birthday, they will understand approximately 70 words. At this age, children can already say 3-6 words and understand the meaning. They can nod or shake their head when offered something. They will begin mimicking the words said by people around them. However, they often only repeat the first or last part of the word, such as “ter” for “water”. Children will experience speech spurt. They will be able to say a simple sentence containing at least two words. As much as 50% of the words are understood at the age of 2 years. Does not look when their name is called from behind at the age of 6 months, along with no babbling at all at that age. Does not show a facial expression until the age of 12 months. Unable to show what they want at the age of 12 months. Does not say anything up to the age of 16 months. No words understood by the child at the age of 2 years. If parents suspect that the child is experiencing speech delay, immediately consult a pediatrician. Examinations that will be conducted may require approaches from various medical backgrounds such as ENT specialist physicians and child psychologists. Early evaluation will determine the management option to be performed, so that the speech and language abilities of the child can be maximized.